The Belgium Cricket Federation cricket academy (BCFCA) was created with the aim of providing quality cricket training and the opportunity to learn from experts the art of cricket in a fun, safe and innovative environment. In order to provide easy access to as many children between the ages of 6 to 18 as possible, the BCFCA is located in 5 cities throughout Belgium all year round. In winter we use indoor facilities and in summer various cricket grounds are used within those cities. This all-year round academy integrates the best in cricketing techniques, technology and coaches to develop a World-Class Cricketer of Tomorrow. For the overall development of the young cricketer we follow the principles of Long Term Athletic Development (LTAD) in our training program which are expertly done by our experienced coaches in this field. Ideas and drills from other sports are incorporated into cricket training to help our cricketer fast track their learning of complex cricket skills, while at the same time improve their physical literacy. At the end of each program players will be tested and evaluated individually and will receive a certificate of competency or participation depending on the result. Visits and talk sessions by international cricketers from time to time. We visualize a national team fielding more native Belgium players than ever before within the next 10 years. To make this a reality we plan to produce technically proficient physically capable players that are tactically astute and are able to perform in both junior and senior national teams. The players will travel on a journey through a detailed cricket program with outstanding coaches that focuses on the needs of both the individuals and team. With the use of technology, innovative coaching, physical, tactical, mental and lifestyle program we aim to produce rounded disciplined individuals with the support of all staff across the departments within the academy, preparing the players for life inside and outside of cricket. We also aim to educate all parents on key aspects so that they can help influence things like basic player support pre/post competition and nutrition. At the BCF Cricket Academy, we aim to create a professional environment that attracts, retains and develops our younger players. We will continue to provide a supply of academy students to the national team squad, while ensuring those individuals who fall short of that standard have the necessary skills and knowledge to enable them to achieve success at their club level. At the BCFCA we offer various levels of coaching for different age groups-starting from the age of 6 to 18 years. In our specialized training centres throughout Belgium, our highly – professional coaches lead the coaching program developed to cover the technical, tactical, mental, physical and even lifestyle aspects of the game. To cultivate and encourage competitive spirit among our students we have engaged local cricket clubs in each area and plan to hold matches with club members and juniors. We endeavor to enter into many such collaborations also abroad to provide our students with the Best in Class Cricket experience. Today, we have 5 centres throughout the length and breadth of Belgium. We offer a range of coaching sessions for children of various age groups through weekly sessions, along with special multiple days activities during school holidays. 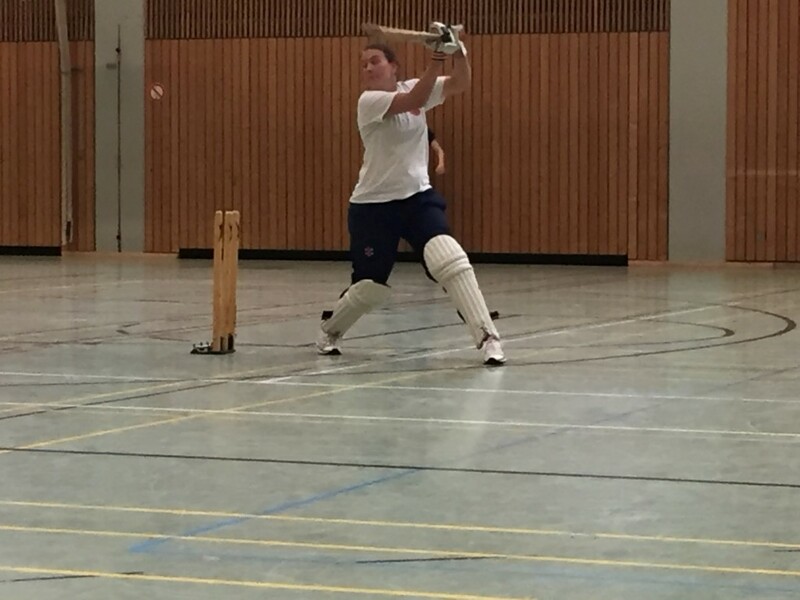 Our exhaustive cricket curriculum aims to develop every aspect of the game, build on existing talent, and create future cricketing stars who can go on to represent Belgium. For the youngsters we present a certificate at the end of each period. There will be a test on the skills they have been learning and those who pass will receive either a Gold, Silver or Bronze certificate depending on age group.